Gretchen Ritter is Harold Tanner Dean of Arts and Sciences and professor of government. 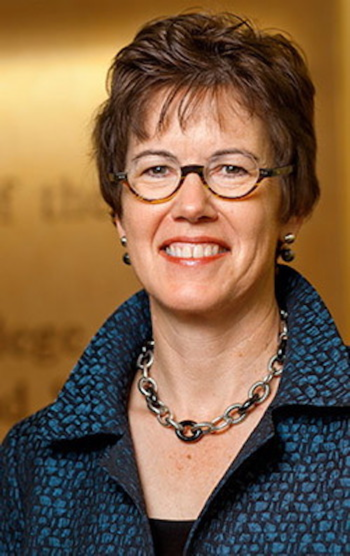 A third-generation Cornellian, she is the College’s first female dean. She previously served as vice provost and professor of government at the University of Texas at Austin. She has also taught at MIT, Princeton and Harvard.Dean Ritter received her B.A. in government from Cornell and a Ph.D. in political science from MIT. Her research focuses on the history of women’s Constitutional rights and democracy and citizenship in American politics. She is the recipient of several fellowships and awards, including a National Endowment for Humanities Fellowship, the Radcliffe Research Partnership Award, a Liberal Arts Fellowship at Harvard Law School and an Outstanding Administrators Award from the Academic Counselors Association. She is the author of The Constitution as Social Design, published by Stanford University Press. Professor Ritter’s earlier work focused particularly on economic justice movements in the US and her first book, Goldbugs and Greenbacks: The Antimonopoly Tradition and the Politics of Finance in America was published by Cambridge University Press.